Obsidian Entertainment has announced a new partnership with Paizo to create video games based on the company's famed tabletop RPG Pathfinder. While the eyes of the tabletop gaming world are mostly likely (and understandably) fixed on the impending release Dungeons & Dragons fifth edition, it's been revealed that Pathfinder fans now have some new reasons to stay excited about their own game. Namely, it's been announced that Obsidian Entertainment (Fallout: New Vegas, Pillars of Eternity) has obtained the license to create new video games based on Pathfinder. The new "long-term partnership" will begin with Obsidian creating a tablet game based on Paizo's popular Pathfinder Adventure Card Game. After that however, Obsidian hopes to use the license to help fashion deeper gaming experiences based in the franchise's fantasy setting. It's a task that Paizo CEO Lisa Stevens believes the developer is perfectly suited for. "Obsidian is a video game developer at the top of its game", said Stevens. 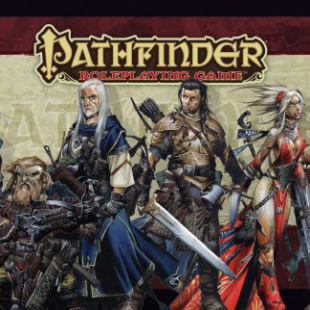 "Being able to bring that type of experience and passion to Pathfinder can only mean great things, both for our loyal Pathfinder community and for all fans of great CRPG's." Obsidian has likewise expressed its own excitement over the deal, with CEO Feargus Urquhart saying that the company is collectively "thrilled" to have access to Pathfinder. "At Obsidian we have a long history of working with the greatest RPG franchises, and we're thrilled to get to play in the Pathfinder universe now," said CEO Feargus Urquhart. "We're huge fans and can't wait to bring what we do in the electronic gaming world to Pathfinder fans everywhere". As one of those fans, I can personally say that I'm very much excited to see just Obsidian comes up with. That being said, I'm also interested to see how this new partnership will affect the Pathfinder Online MMO that was Kickstarted by GoblinWorks early last year. While there hasn't been an suggestion yet that the MMO will factor into this, the possibility is still there. Either way, this partnership sounds like great news and I'm sure I won't be the only Pathfinder player waiting with baited breath for more future announcements.